Tyrion Lannister has faced an unsteady and turbulent journey thus far, from narrowly escaping execution to travelling the seas of the known world and helping to bring a new way of life to the city of Meereen. He now sides with Daenerys Targaryen as her appointed hand of the Queen, her closest advisor for the coming wars. 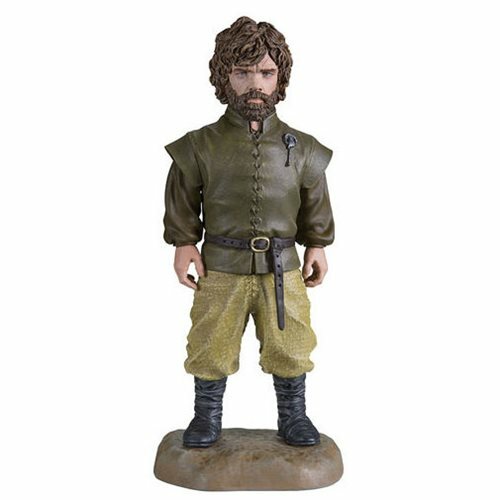 This highly detailed figure shows Tyrion displaying his well-earned pin as he contemplates his next move in the great Game of Thrones. 5 3/4-inches tall. Ages 14 and up.